America stepped into a new era when Donald John Trump defeated Hillary Clinton in the 2016 Presidential Elections. Since then, people all over the world have speculated whether Trump will start World War III or whether he will be the change that America needs, referring to his slogan to “Make America Great Again”. It is needless to say that before Trump starts affecting the rest of the world, he will change the USA first and foremost. It is debatable whether these changes will be positive or negative, but it is needless to say that Trump’s perspective of seeing things is changing America as well. Trump doesn’t exactly hate the Muslims on the basis of religion. He just figures that every single Muslim is a terrorist from the fact that 19 people that hijacked a plane were Muslims. Well, it absolutely isn’t. The truth is that teens pick up most things from social media and, more importantly, celebrities. 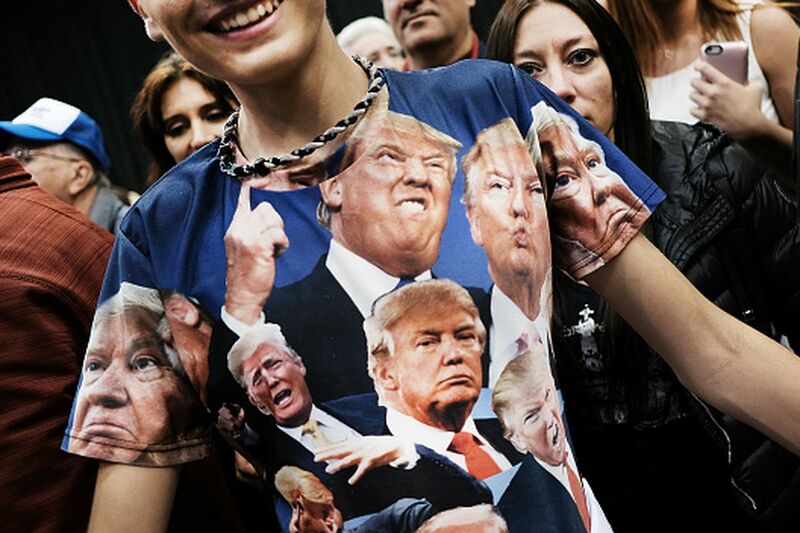 It is pretty obvious that if the President of the United States feels the need to embarrass every single non-native, then the teens will do the same. They will begin to judge people on basis of their skin color and the language they speak. That is something that can lead a nation to a steep fall towards its own destruction. We already mentioned that children start to judge their classmates, friends and the people around them on the basis of their race or religion. This can be an extremely negative ideology that will ultimately lead to the destruction of the peace and harmony of a country. When these people start hating the other side, it’s obvious that they this will completely divide the country in half – And when that happens, there will be no office, no school, no hospital where people from different races will start forming their own secret agendas. Trump has repeatedly insulted women on several occasions. He publicly denies the fact that he has never offended any woman ever, but some famous and exemplary women like Angelina Jolie, Sarah Jessica Parker, Bette Midler and Cher say differently. What most people don’t realize is that his comments on women are a straightforward encouragement towards sexism. Teens start to do the same usually with the women at their schools. They start thinking that they have a sort of superiority when it comes to gender and just being male gives them a one-up on women. Gossiping about that evil English teacher and publicly declaring his flaws are two very different things. The case is the same when it comes to racial discrimination. If there is some kid that hates someone just because they’re black, they keep that thought to themselves, or maybe even gossip with a friend, but that’s it. Trump’s constant negligence of the dignity of other races gives them a solid reason to publicly insult or humiliate the person that they don’t really like. Freedom of speech is everyone’s right, but is it fair? What do You need To Do As Parents? Parents need to pay special attention to their children when racism is conducted freely everywhere. They need to keep their ears open and make sure that they know if they’re talking trash about someone only due to the mere fact that they aren’t the same as them. Moreover, just making sure that they don’t conduct racism in their social lives isn’t enough. You need to keep an eye on their online life to see if they are abusing some other teen. The best way to do that is to start using a mobile parental monitoring app. An app like TheOneSpy cell phone spy app can not only allow you to keep tabs on their phone but also keep an eye on every single message sent or received, offline and online. Hence, this way, you can make sure that your child can keep a clear head and not judge people on what language they speak or what God they speak to.